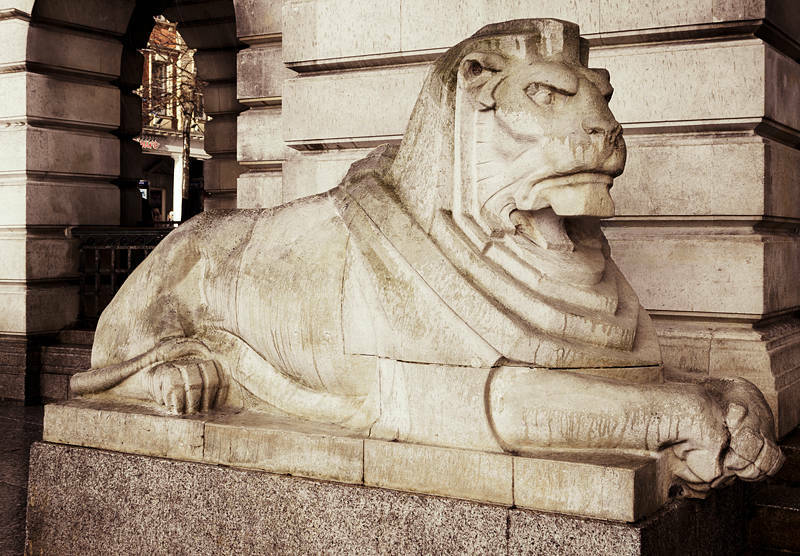 This is the Left Lion in front of the Council House in Nottingham. Anyone who has lived in this city for more than a few years will have met someone at this historic rendezvous point. I have spent the last four days in Nottingham catching up with friends by meeting at various bars, cafes and this stone animal. We are back in Grantham now but we will be back to see the jazz band Polar Bear on Friday. I used some Split-Toning to add a little colour to the grey image.